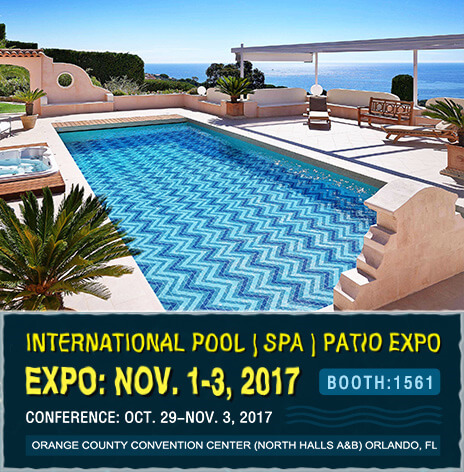 Happy that "International POOL | SPA | PATIO EXPO 2017" is coming soon again, have you get ready for it? Bluwhale Tile here to invite you to stop by our booth #1561, in orange county convention center (North Halls A&B), Orlando, FL, from Oct.29th~Nov.3rd, 2017. We have a new collection colors - Santorini series triangle mosaic tiles, working stylish and outstanding as swimming pool tiles. Welcome to visit us and find the new trend for pools. We looking forward to seeing you on the show!